Adopted in 1913, the 16th Amendment to the Constitution permits Congress to levy an income tax on American citizens. Prior to the 16th, tariffs and excise taxes were the primary sources of revenue to the federal government. Since then, the Congress has passed laws resulting in the generation of 80,000 pages of IRS Code. A giant, entangled web of sections, subsections, paragraphs and statements that spell out all sorts of can’s and can’ts, do’s and don’ts and mathematical formulas – just to figure out how much to pay our government tax overlords. – Most Members of Congress don’t have a full grasp of the basic tenets of federal taxation. – Members are far more consumed with deductions than anything. Specifically, who gets that deduction, who loses this deduction. They really aren’t concerned with devising a system of revenue that funds a government consistent with its enumeration in the Constitution. For them, taxes are a political weapon. It is impossible to devise a “fair” system of taxing income. – Many don’t understand the difference between a deduction and a credit. – Most don’t understand the concept of invoking the standard deduction vs itemizing deductions. – Basic math operations seem to be elusive in their thought processes. 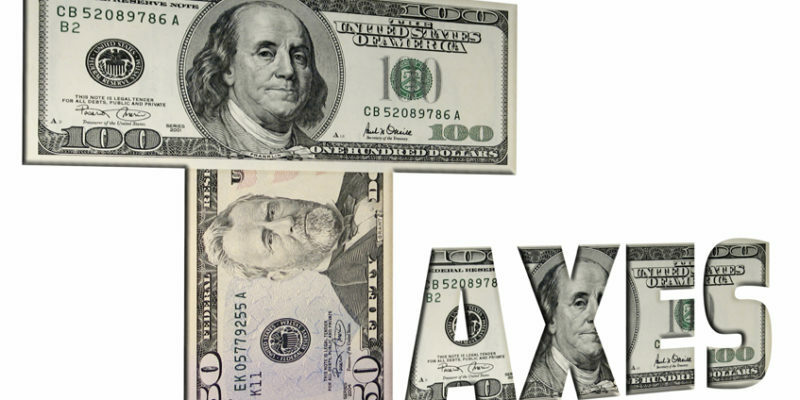 If you lose a deduction, resulting in higher taxable income, where that income is taxed at a lower rate, that can (and does more cases than you might imagine) yield a lower tax liability. – Many believe that corporate taxes should be higher and that sending more corporate income to Washington will stimulate job growth, wages and the overall economy. – At least one, Congressman Danny Davis, Representative (D-IL 7th District) since 1997, age 76, believes that corporations should pay taxes even when they produce a Net Operating Loss (NOL). From watching the Facebook posts while the meeting was broadcast, there is a strong sentiment among Americans to dramatically reduce the pay of Members of Congress. If so, how about we reduce it to the median pay in the U.S – which is currently $57k. As that rises, so does their pay. Just a thought. But my preference is $0 pay for public servants. I believe that was the intent of the Founders, consistent with the spirit of the Constitution, would severely limit the field to those who can afford to serve and would serve as a form of term limits for some. Perhaps Members of Congress should have to pass a test consisting of preparing both individual and C-Corp returns that incorporate all schedules (aided by a manual 10-key calculator only). I’m not suggesting every Member should be a tax expert. Quite the contrary. Rather, the objective would be to force simplification. Members of Congress would be the acid test for simplicity. I’m pretty sure only a couple of Members seated today could prepare even a simple 1040EZ tax return.